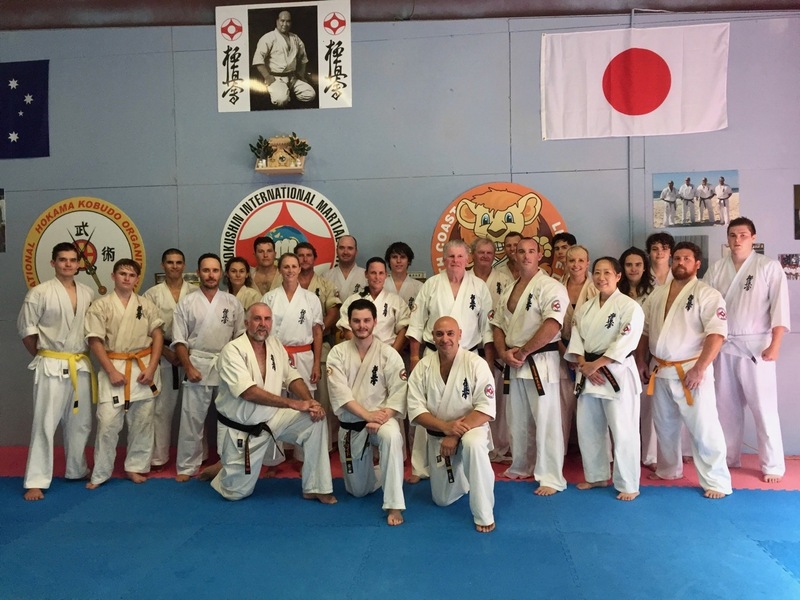 On the weekend of 17-19 March, Shihan Howard Lipman visited the KIMAA Far North Coast NSW Dojos to conduct a Kyokushin Karate seminar. 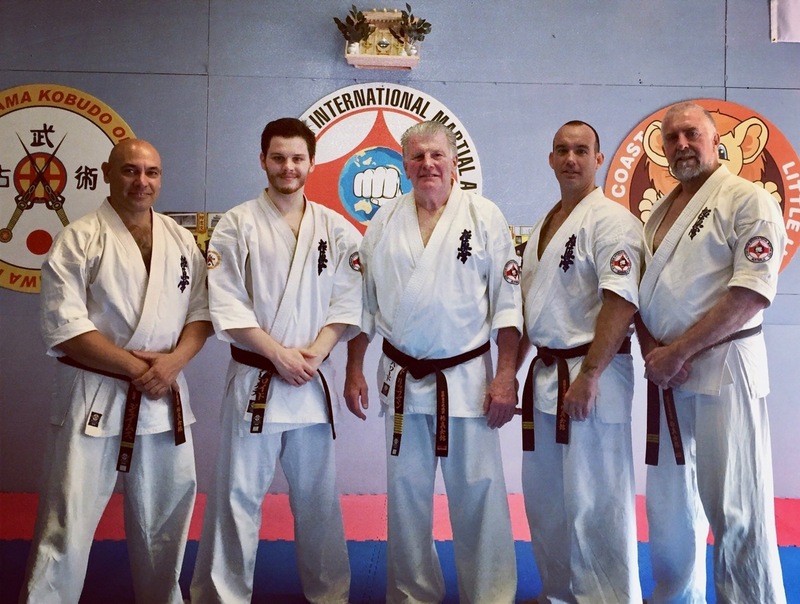 Sempai Rob James, Sempai Alex Lloyd, Shihan Howard Lipman, Sensei Jon Ellis and Sensei Mark McFadden on day 1 of the seminar. 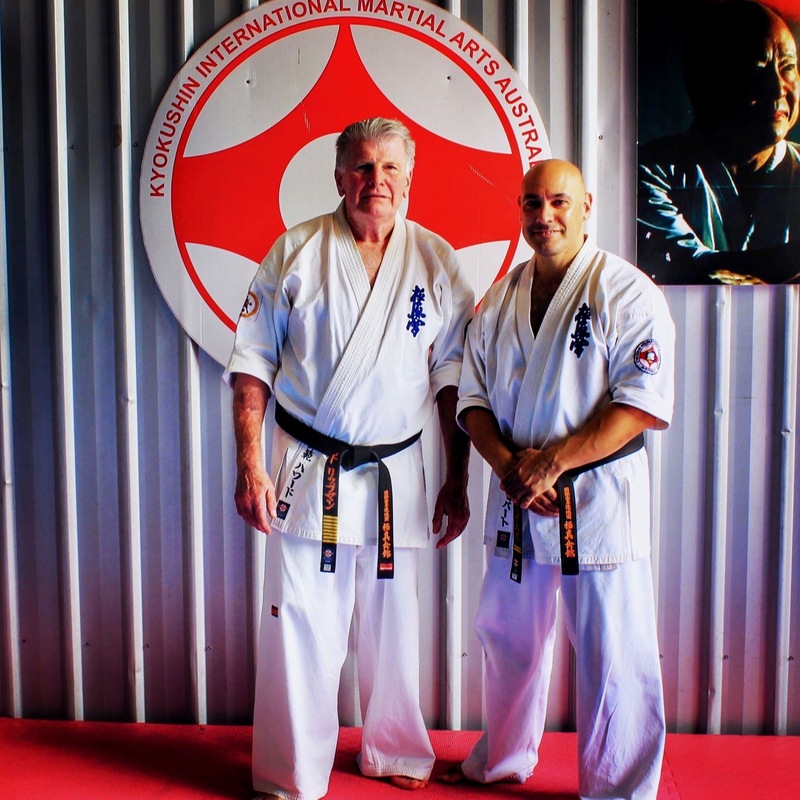 Sensei Mark McFadden and Sensei Jon Ellis hosted the seminar at their respective Lismore and Ballina dojos. 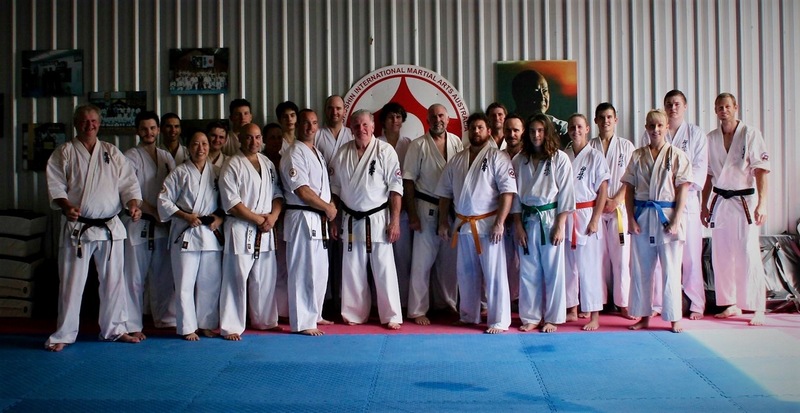 Sempai Rob James attended the seminar with some of his students from the North Brisbane and Nundah dojos. Sempai Alex Lloyd came up from Sydney with Shihan Howard to assist with instructing. On the Friday night the 17th, Shihan Howard and Sempai Alex arrived in Ballina where they had dinner with Sensei Mark and Sensei Jon. Training began at 9.00 am sharp the next morning at Ballina Dojo. The first session was for the Little Lions. The morning class was spent focused on kihon (basics): strikes, blocks, kicks and combinations. The class ended with some fitness and competitions. The next session was an hour-long class for instructors only, revising the finer points of techniques, how to break things down and teach them, and for Shihan Howard to ensure all the basics were the same standard across all six KIMAA dojos. The class was attended by Sempai Wally Gray, Sempai Simon Morris, Sempai Patricia Tan, Will Brook, Jermaine Downs and other assistant instructors to the North Coast and Brisbane dojo operators. The afternoon was focused on the adults. Things got off to a bang, starting with an energetic kumite warm up. The sparring was followed with fight training and fighting techniques, including footwork and movement. After this, different grades took turns demonstrating kata to Shihan Howard appropriate to their level. This was followed by bunkai (self-defence applications), take-downs and throwing each other around the room. Sempai Alex quickly proved to be Sensei Jon’s favourite crash test dummy! The instructors finished the afternoon class by running the group through some joint locks and pressure point techniques, and some conditioning. The adults class on the Saturday, at Ballina Dojo. A group dinner was enjoyed by the visitors and local senior grades at a restaurant in Ballina by the water. Training began the next morning for adults at 8.30 am at Lismore Dojo. Sensei Mark and Sempai Rob warmed up the class and revised some basics and strength work, before Shihan Howard stepped in to show the group how push ups are really meant to be done! The class turned to more basics and stance revision, emphasising the importance of separating basic technique from bunkai. The former is the foundation to the latter, and keeping the true form of the technique correct is imperative to the development of one’s karate. The Sunday adults class at Lismore Dojo. After a final group photo, black and brown belts stayed on for senior kata training. Sempai Alex took the class exhaustively through Garyu. Shihan Howard then had students pair up for advanced kihon techniques and partner work in the Nidan syllabus. The class ended the session by studying Tensho kata. Shihan Howard Lipman with Sempai Rob James, Lismore Dojo. Shihan Howard was most pleased by the students’ standard of technique, as well as the teachers’ instruction of both the North Coast dojos and those who came down from Brisbane. The quality of the KIMAA students are an obvious reflection of their instructors. He passed on his thanks to Sempai Alex for his assistance. Shihan Howard congratulated Sensei Mark, Sensei Jon and Sempai Rob on the level of technique their students had attained, the fit-out of their dojos, and their obvious dedication to and rapport with their students.